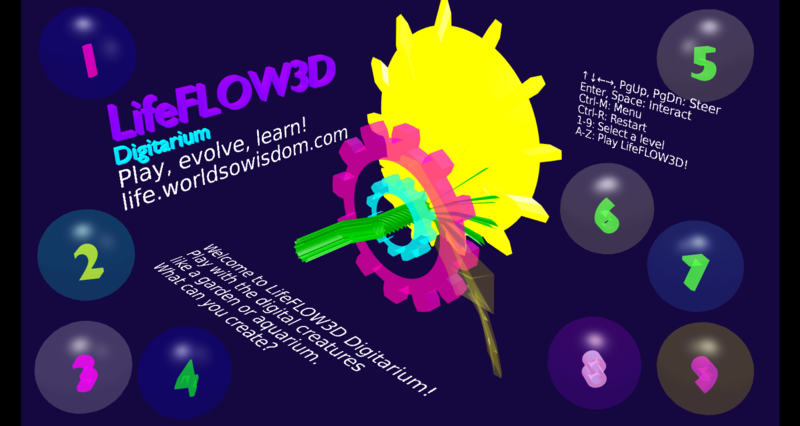 Read more about LifeFLOW3D: New Menu! Behind the scenes at LifeFLOW3D! Read more about Behind the scenes at LifeFLOW3D! The most amazing places on Earth will stun you with their majestic variety. From deep underground caves and waterfalls, through unique trees and other life forms, the planet packs a powerful punch. Here are the twenty most wonderful places in the world to see while you still can. Imagine stepping foot on an alien planet, replete with exotic scenes ranging from underground waterfalls to bizarre trees and mysterious glowing circles. Guess what? You're already standing there! Earth hosts many surreal scenes -- which you have to see to believe. The "cotton castle" in Turkey's Aegean region consists of mineral build-up in the shape of pools. Ancient civilizations, from the Greeks and Romans onward, have built cities atop the natural formations. People also use the pools for bathing, although hotel tourism now risks eroding away the delicate structures. The largest salt flat on the planet sits in the Andes of Bolivia. Over ten thousand square kilometers, the entire area is so flat that its average variation in height is less than a meter. The ecologically unique zone stores more than half of all known lithium, while connecting the tropics with the desert. 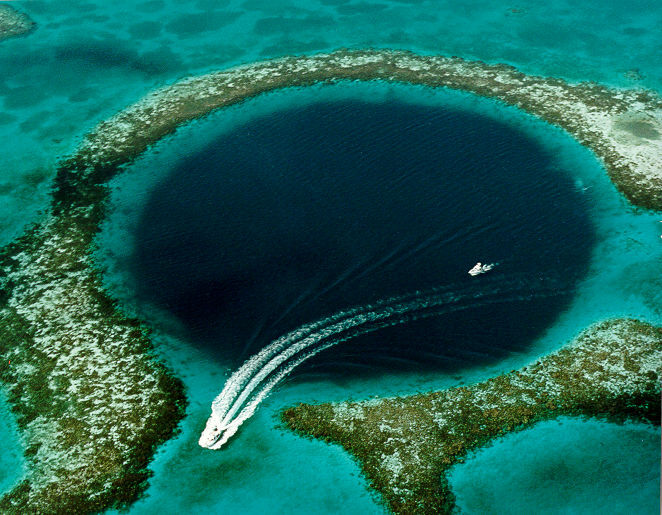 The immense sinkhole sits 70 km away from the coast of Belize. A cave submerged in water collapsed, yielding the intriguing circle. Famous explorer Jacques-Yves Cousteau made the site into a popular diving destination. The 124 m deep hole belongs to the Belize Barrier Reef, and hosts a stunning diversity of life including sharks and coral. 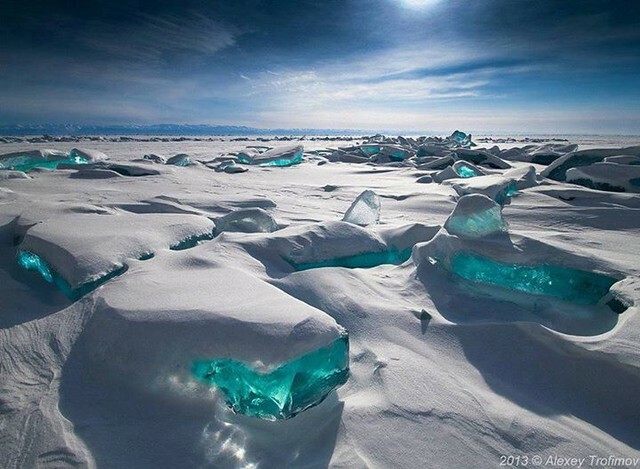 Lake Baikal, in the Siberian portion of Russia, features turquoise ice like a sparkling gem. The enormous lake, which is the deepest and oldest on the planet, divides the continent into two separate future continents. As the spring ice forms into chunks and split apart, the different forces result in the elegant beauty. The largest hot spring in the US produces an amazing rainbow of colors. The eye has intrigued space scientists since seeing it from a satellite. Bioluminescent particles illuminate the ocean in brilliant light. 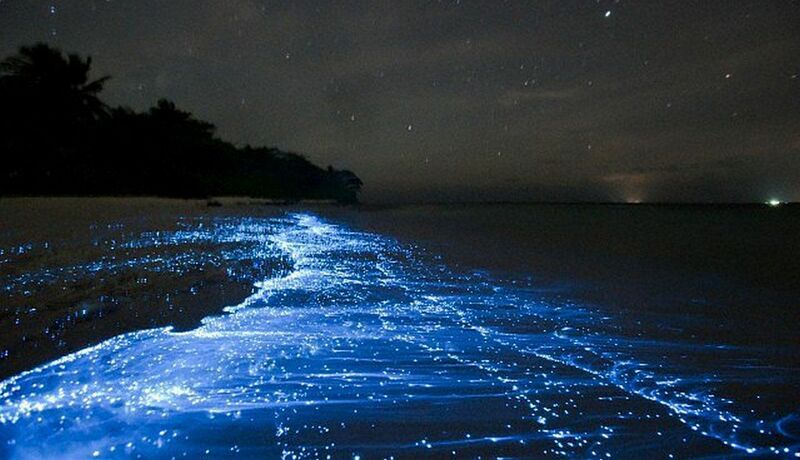 The Sea of Stars, a stretch of beach twinkling in blue light, lies on the Vaadhoo Island in the Maldives. The bioluminescent microbes absorb impacts and emit light. The stellar sight reflects the sky, and can look like a sparkling blue sand. The pink lake water holds its color even when taken in a container. Lake Hillier, a pink lake in Australia, holds its unusual color even when the water is taken away in a container. The bubblegum color surprised an early explorer. Scientists still speculate as to what gives the water its color. The wild lake is difficult to access. The pink contrasts attractively against the blue Pacific Ocean nearby. The active volcanic island has occasional eruptions, as well as earthquakes. Aogashima, a volcanic island, belongs to Japan. While administered by Tokyo, the volcano itself hosts just over a hundred people. Half of the population died in the previous eruption. 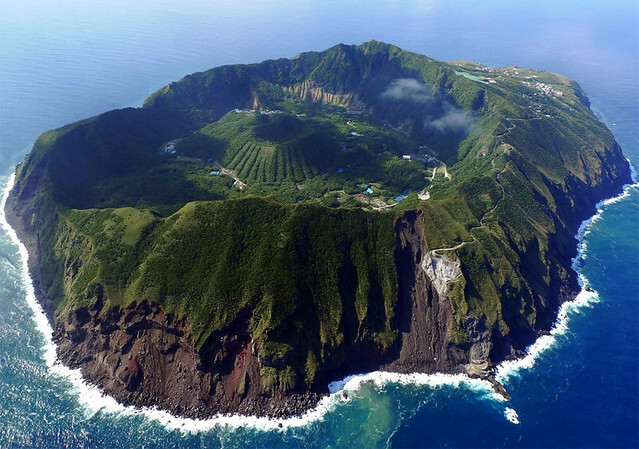 The underwater volcano rose up several hundred meters, with rocky cliffs isolating the island. In the middle of the island there is a natural sauna. The natural passageway lets through trains, and couples. The Tunnel of Love, an actively used railorad track, runs through Ukraine. Trees grow in an arch, along a stretch of three kilometers. Lovers take romantic walks along the tracks, when the trains are absent. The privately owned rail line delivers wood to a nearby factory. 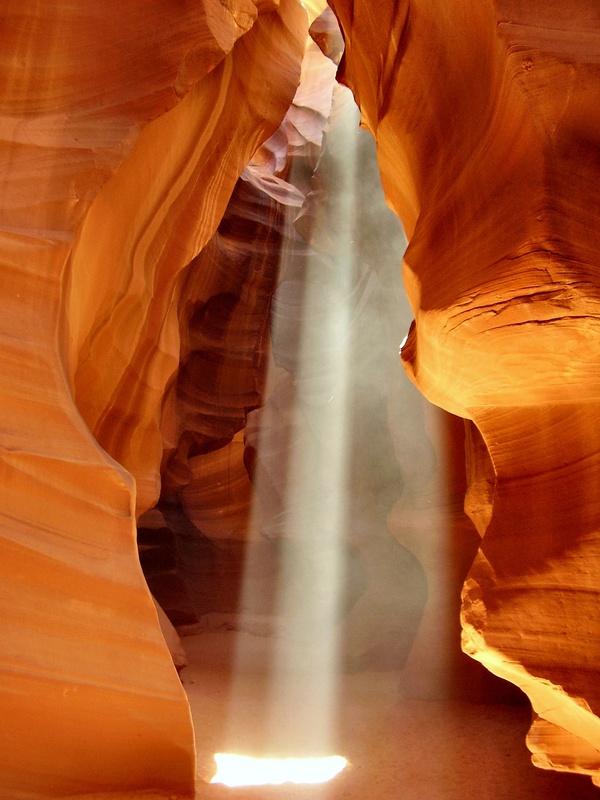 Antelope Canyon, a gorgeous land formation, stands on Navajo land in Arizona. Rainwater falling over many years carved out a hole in the stone that allows sunlight into the deep caverns. A photograph of the canyon has sold for $6.5 million. A Maori chief and an English surveyor discovered the unique glowworms while rafting through the caves. The Waitomo Glowworm Caves are on the North Island of New Zealand. A unique species of tiny glowworms congregate here, giving the caves an eerily beautiful luminosity. A Maori chief and an English surveyor first discovered the unique glowworms while rafting through the caves. Deadvleli, a clay pan, highlights its stark white sands and orange dunes with blue sky and the black silhouettes of dead camel thorn trees. The trees have been dead for hundreds of years. A river once flooded the area with water. Now, the dry area preserves the remains. Giant Crystal Cave, a selenite cave connected with a mine, resides in Chihuahua, Mexico. Its immense crystals, dozens of feet long, weigh up to 55 tons each. The cave has an extreme environment, at around 50 deg C and 100% humidity. The cave was first discovered in the year 2000, by accident. The Reed Flute Cave, an ancient formation, is a famous site in China. Reeds growing in the region are made into flutes. Rocky shapes give the cave its distinct look. Over hundreds of years, many poets and travelers have carved inscriptions in the caves. The cave was lost for some time, then rediscovered by Chinese refugees during warfare. 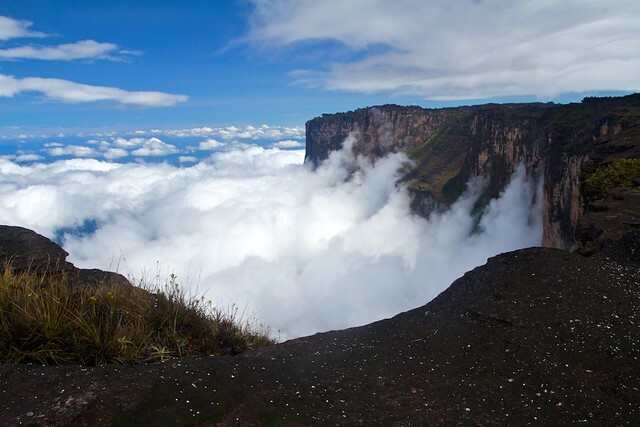 Mount Roraima, a gorgeous lost world, is a high plateau in South America. The remote land features waterfalls above the clouds, crystal-floored valleys, and unique species. The exotic scene looks prehistoric, and has inspired famous books and legends. Its origins date back billions of years. This important place in China sits on the Yangtze river. Wulingyuan, an area of scenic and historic importance in China, sits in the Hunan Province. More than three thousand quarts sandstone pillars, each hundreds of feet high, stretches over many thousands of acres. Streams and waterfalls course through the towering rocks. Miami Beach is an immensely long stretch of beach! It hosts luxury condominiums and resorts, and is a great place to travel. The Chittor Fort in Chittorgarh, India, is one of the country's largest forts. It has hosted different dynasties over the centuries. Yuanyang Rice Terrace, a remote and traditional rice growing region, rests among the mountains of Yunnan Province. While the terraces are regarded as on par with the Great Wall of China, it is much simpler, and the traditional farmers maintain the fields with hoes. The clever arrangement ensures equal water flow to the different plots on the mountain. Improvements to Butterflyz in LifeFLOW3D! Read more about Improvements to Butterflyz in LifeFLOW3D!